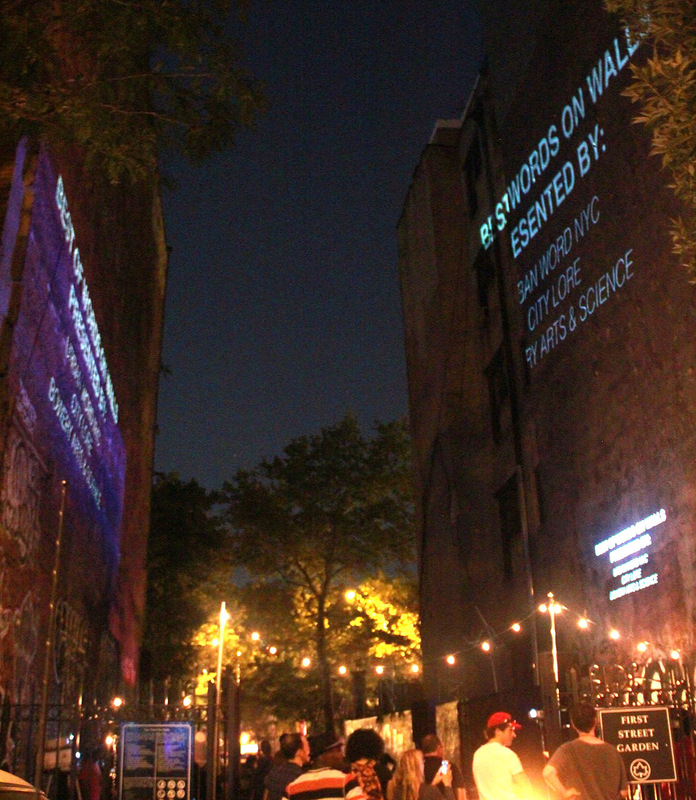 This was our final Words on Walls event, which I was a part of for over two years. 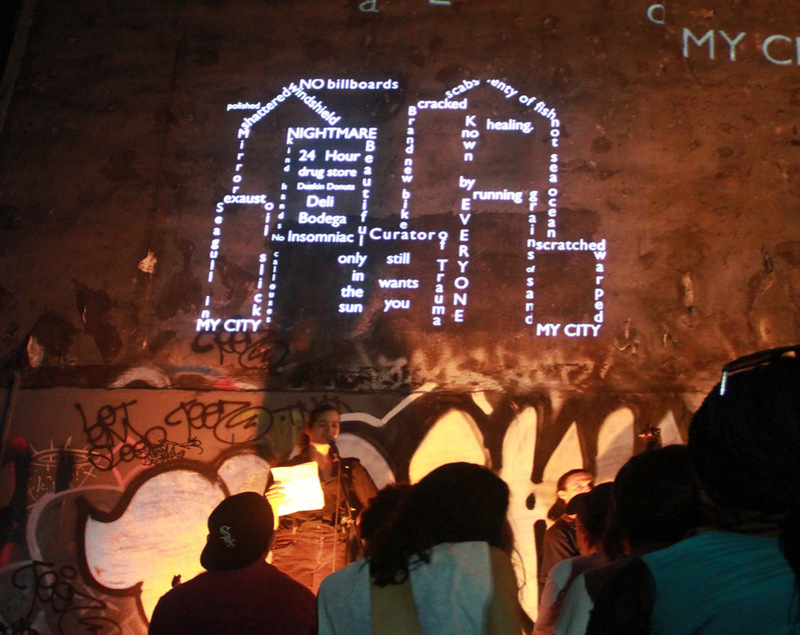 The program involved leading workshops with youth poets, projection mapping their words to site-specific walls through the city; then performing the poetry in time with the projections. This was our “best of” celebration, wrapping up this amazingly inspiring collaboration amongst the wonderful poets and the organizations that made this happen. 33 East 1st Street, corner of Houston Street and 2nd Avenue, Manhattan, NY. A collaborative effort between Urban Word NYC, City Lore, and Bowery Arts & Science and made possible with support from the Hive Digital Learning Fund, WORDS ON WALLS combines digital learning with neo-futurist graffiti to celebrate cultural diversity, neighborhood histories and the power of youth voice. Teens work with the UDUB Social Media Team and Youth Leadership Board and New Skool Journalists to display their work digitally on various landscapes throughout the city, with live spoken word performances of their poetry. Tonight’s performance culminates two years of city-wide events and will be a selection of top projections from this project, as well as a celebration of Urban Word NYC’s Youth Leadership Board.